Struggling to find something for that little superhero in your life?? 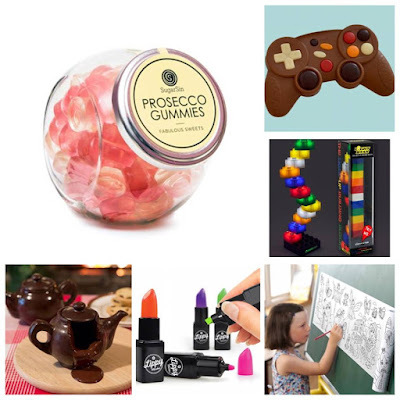 I have lots of great ideas in this post this year! Grab the mistletoe and get ready to find the perfect gift for that special someone this Christmas. Justice League 4 Film Collection. Collection of feature-length animated adventures set in a Lego version of the DC universe. In 'Justice League Cosmic Clash' the Justice League must defend Earth from Brainiac, a supercomputer that travels through space collecting planets, but with his sights set firmly on Earth, the heroes are going to have their work cut out. 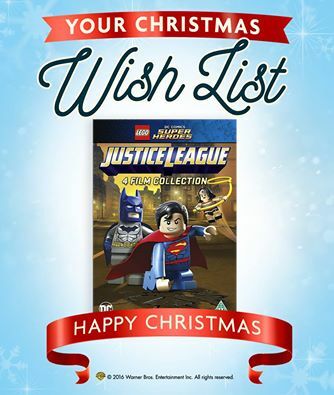 A four part DVD sure to keep the children entertained this Christmas or just to wind down from all the excitement perfect for a Lego or superhero fan. Truffleshuffle have an amazing collection of Superhero stuff available, here are some of my top picks. 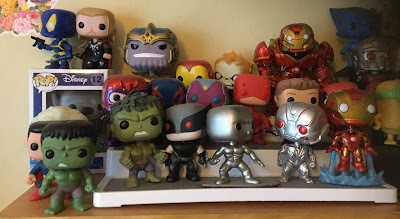 I had to sneak some Funko pop vinyls in to this post. 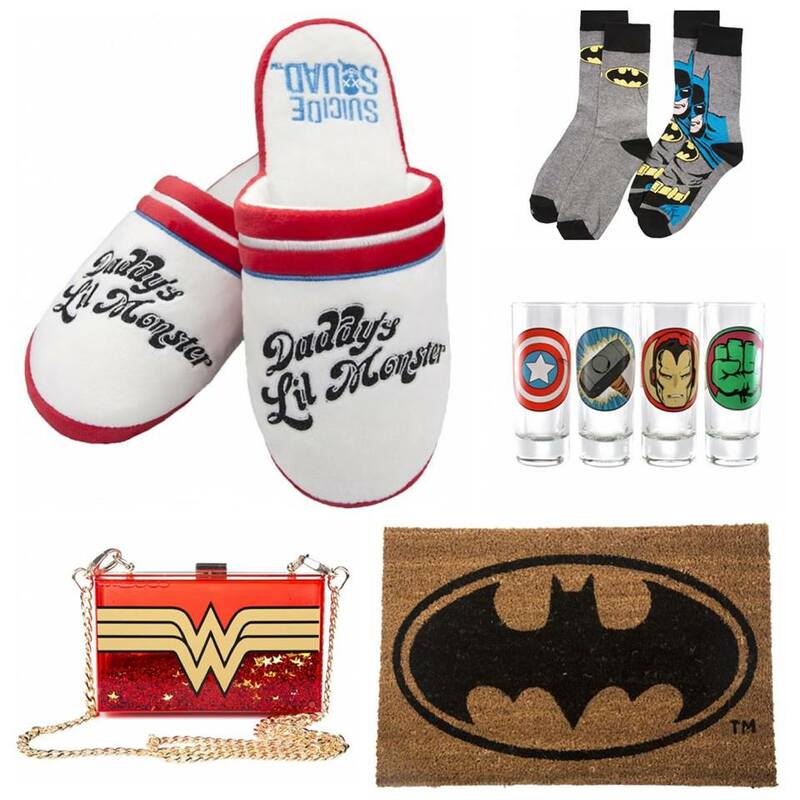 The superhero collection is massive and who wouldn't want one in there collection for Christmas? Funko pops are available everywhere from HMV, Game, Amazon, Pop in a box & comic book stores. Nine Brand New Episodes and Interactive Sing-a-Long Content Offers Young Fans. Popular TV Personalities Jo Brand and David Mitchell Voice New Characters. 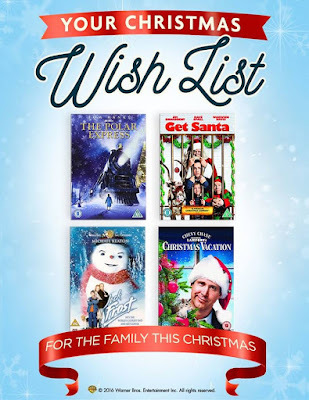 For The Family, Christmas Traditions & Movies To Watch On Christmas Eve! Warner Bros. has a fantastic selection of festive favourites to get the whole family in the Christmas spirit, including Polar Express, Get Santa, National Lampoon’s Christmas Vacation and Jack Frost. I won't lie Christmas is pretty exhausting. My Christmas starts on Christmas Eve where my mom and nan come over with have a bit of a buffet and the kids open the presents from them. We have done this since the kids are small, both my nan and mom enjoy watching the kids open them and to be total honest it helps spread them opening a huge pile on Christmas Day. 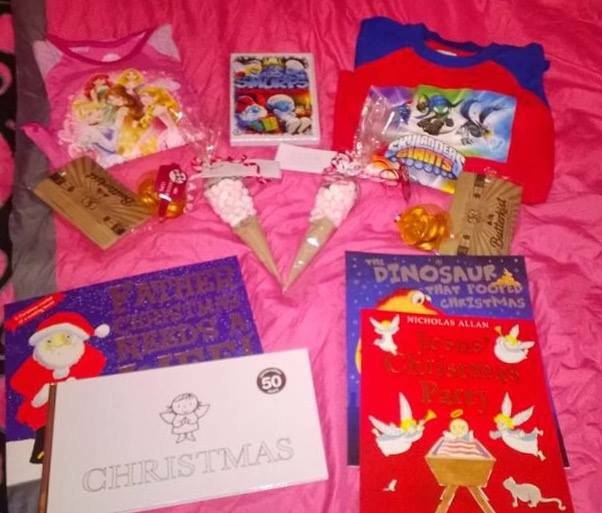 The kids are then bathed, Christmas Eve bags are given out so they can put on the new pjs. 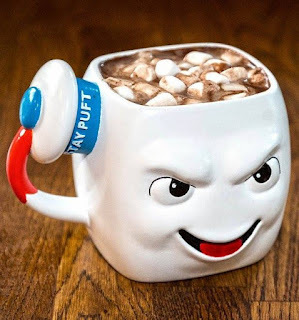 We watch a movie together with popcorn and hot chocolate. A Christmas Eve bag is a must and I've given them out since Lexie was small and it's just carried on every year. Included in the bag is some new pj's for them to change into after there bath. A new Christmas DVD we have a selection to choose from this year Polar Express, Get Santa, National Lampoon’s Christmas Vacation and Jack Frost complete with popcorn, chocolate coins and snowman soup ( hot chocolate, mini marshmallows, white chocolate sprinkled buttons and a candy cane to stir) reindeer food ( oats and glitter) to sprinkle so Santa knows where to come & a selection of books for bedtime. I absolutely love winding down on Christmas Eve, after all the stress and rushing around with the kids to watch a film together with all the magic around at Christmas. It's definitely my favourite time of year! We have been given the opportunity to give the following films away, please RT the competition tweet to enter below. I have some of the range from character toys featuring the fantastic Dinotrux. Dinotrux is a children's TV show which feature half dinosaur and half truck mash up. The show is available on Netflix and is made by Dreamworks. With a selection of colourful, fun characters it's a show not to be missed. Perfect toys for a last minute Christmas gift. Rotilian Reptool, part lizard / chameleon and part rotary drill. Skya, a Craneosaur part Brachiosaurus and part crane. Garby, a Stegarbasaurus part Stegosaurus and part garbage truck. Dinotrux Dozer comes complete with sounds, pull back his tail and listen out for the sounds. Dozer is a great size and I love the detail on him. Rolling wheels allow easy push-around play. Ton-Ton Tacho comes in a larger scale, Includes a pullback motor to rev-up your next adventure. Rolling wheels and unique movements. Tail-smashing, jaw-closing and mouth-chomping action, you can even fill up his back and cart items around. Skye's Tall Tail Slide Featuring a large-scale Skya and an included die-cast Revvit Reptool for fun right out of the box! Six points on the set feature kid-powered mechanisms to activate vehicle motion on the track, send Reptools to different levels or aim for Scraptor targets. Six points on the set feature kid-powered mechanisms to activate vehicle motion on the track, send reptools to different levels or aim for scraptor targets. Lift skya's tail to move the massive body and send revvit rolling onto the path you choose you can switch it up by manually setting a platform at different levels place the two included scraptor figures on the track and aim to knock them tumbling down. 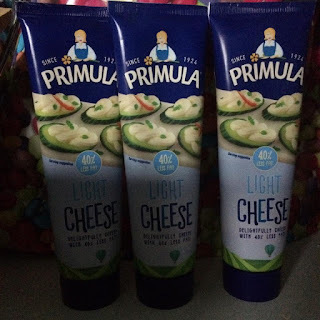 Slimming World Update, Primula Cheese & Weigh Loss Treat. I posted back in October, when I hit my 2 stone award. I've been having some real good losses lately ( I put on over half term). I was a bit disappointed as I knew I had made better choices, but I managed to lose what I had put on and more the week after. When I started slimming world, my main target was for me to be 3 stone lighter this Christmas. I hit my 2.5 stone award and I've really been working hard to get that 3 stone. My target is 3 stone & 1.5 pounds, but I've decided to actually drop my target down another 7lbs when I reach it. I feel I would be able to lose another stone at least and still probably want more off too. My sizes are getting smaller and I've gone from size 22 to a 16. I'm feeling so much better for it! 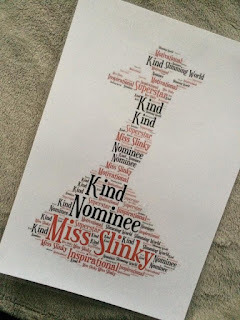 I got nominated for Miss Slinky at my group too this year, I'm shocked that anyone would find me an inspiration. I didn't win but it was so lovely for people to have nominated me. One thing I always have in the fridge is soft cheese. It's so easy to use and a perfect healthy extra. 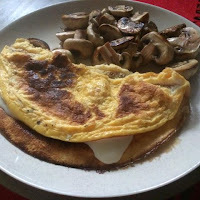 It's easy to use on omelettes with a bit of ham. In a lasagna as the white sauce or even on some Ryvita crackers. 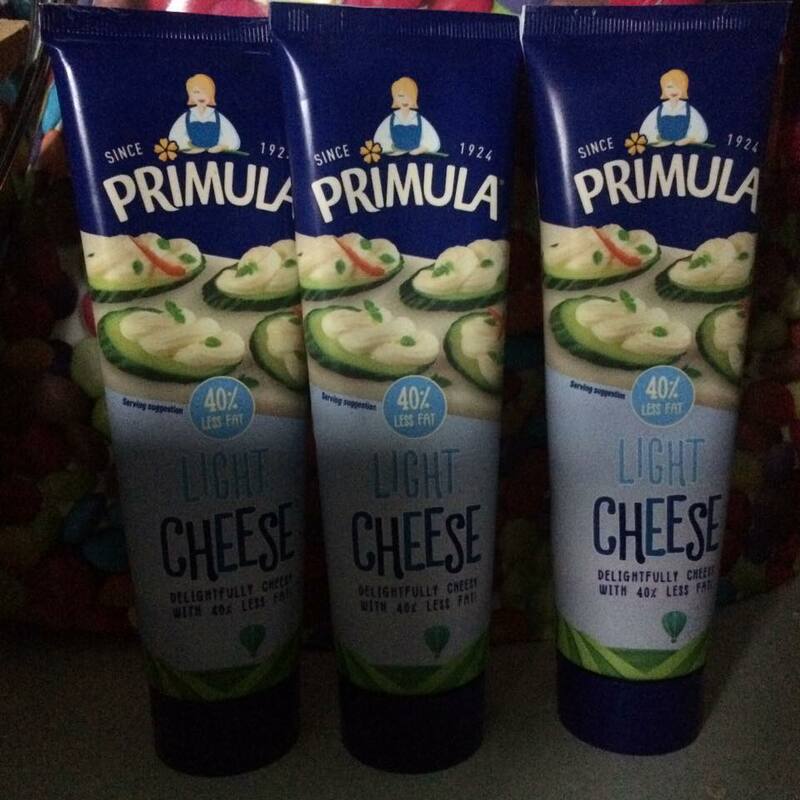 The Primula Light Cheese, you can have 75g as your HEA ( that's half a tube) . The whole range is pretty good as syn value too if you wanted to try the different flavours. I always make sure there is one lurking around in the fridge! 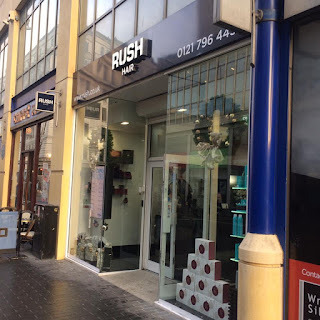 Rush Hair in Birmingham had a Christmas event last month and I was unable to go as Rush Trampoline Park also had their open night ( a tad ironic ). I was asked to attend on Wednesday and have a cut and blow dry. I'm really fussy about my hair and my current hairdresser is the only one I normally trust. She is currently on maternity leave and I didn't book in before she left. So my hair has been untreated for around 4 and a half months. 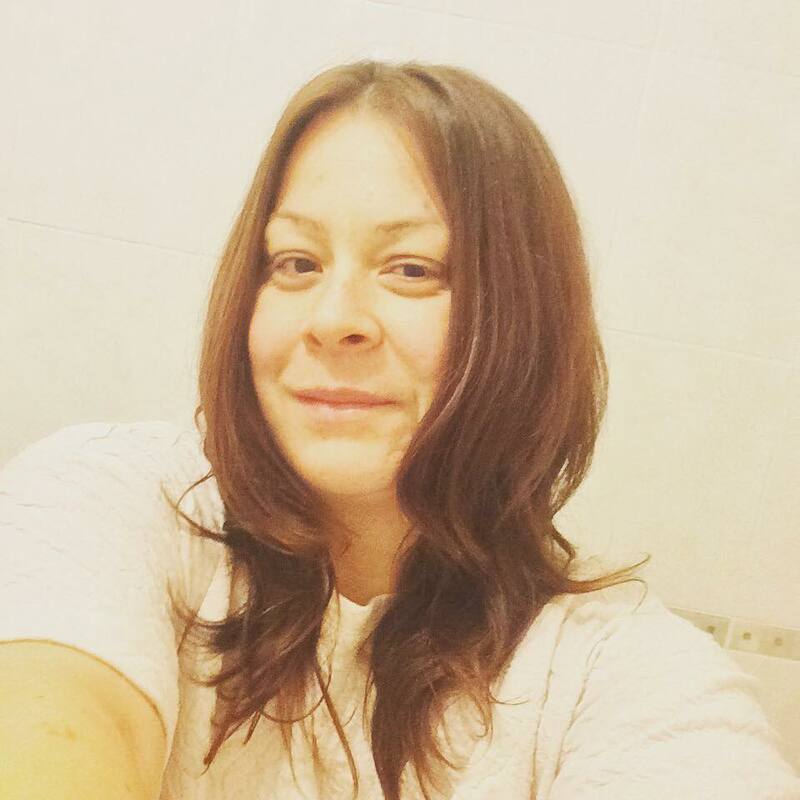 As a mum of two, I do try and have my hair cut three times a year, but it doesn't always happen. Normally something crops up just before a hair cut is due, so this was a lovely treat for all my weight loss hard work. Rush Hair Birmingham is in the city centre and is a very modern salon. Inside it's very roomy, nice and spread. The wash sinks have dimmed lights where you can relax and have your hair washed. Liam was fantastic with the whole wash and cut. I've actually never had a man cut my hair before, thinking about it that's quite weird at the old age of 33 isn't it! I forgot to take a before picture but this is the after, my hair looks so different and bouncy! I love it that's Liam and Rush Hair Birmingham! The Old Rep, Birmingham has announced the professional cast for its festive family production, The Wind in the Willows (21 Nov-31 Dec). This new production of Kenneth Grahame’s classic children’s novel follows the success of last year’s Treasure Island and is again produced in partnership with Scott Ritchie Productions and Birmingham’s centre of excellence for creative, digital and performing arts, Birmingham Ormiston Academy (BOA). Me and Lexie went along on Saturday to watch the show after a bit of shopping and lunch. It was Lexie's first time at The Old Rep, she was memorized by the whole show. The show was full of energy and a lovely twist on a classic tale. In line with the renewed vision of this historic and iconic theatre to develop, celebrate and showcase the talent of the city, Scott Ritchie Productions and BOA have cast the lead roles of Toad, Mole, Ratty, Badger and Chief Weasel entirely from Midlands-based professional actors. The terrific Mr Toad will be played by former BBC Archers star and Sutton Coldfield resident Dan Hagley. Mei Mac, recently seen in The New Vic’s Peter Pan in Scarlet and the national tour of York Theatre Royal and Tutti Frutti’s The Snow Child, joins the cast as the playful Mole. Ratty will be played by Midlands-born Alec Fellows-Bennett, fresh from a stint at the Windsor Theatre Royal with Bill Kenwright. Uniting the gang of four friends is local boy and recent Birmingham School of Acting graduate Elliot Rodriguez, who plays the warm-hearted, steady Badger. Another Birmingham School of Acting alumnus, Alexia McIntosh, previously of Sister Act, completes the cast in the crucial opposing role of Chief Weasel, where she will lead an ensemble of Birmingham Ormiston Academy (BOA) actors in training, in keeping with the repertory system history of The Old Rep. The Wind in the Willows will be an irreverent and playful take on the classic tale, packed with energetic performers, original music and anarchic sense of humour. Produced by Scott Ritchie Productions and Birmingham Ormiston Academy, directed by Robert Marsden, former Associate Director of The New Vic Theatre, and designed by Mila Sanders, whose recent work includes designs for The National Theatre, this home-grown adventure is a festive show with a difference, and will be a real treat for all ages this Christmas. For further information about The Wind in the Willows, or to book tickets, call the Box Office on 0121 359 9444 (open 11am-6pm Tue-Fri, 1pm-6pm Sat) or visit www.oldreptheatre.co.uk (online booking fee applies). Keeping In Your Budget At Christmas. I generally don't have a limit or budget with what I buy at Christmas time. I try not to let it all build up and have a massive spend in December. I like to spend it throughout the year. I start my birthday/Christmas shopping in January. I tend to save around £150, so I have a good chunk of cash if I see something. 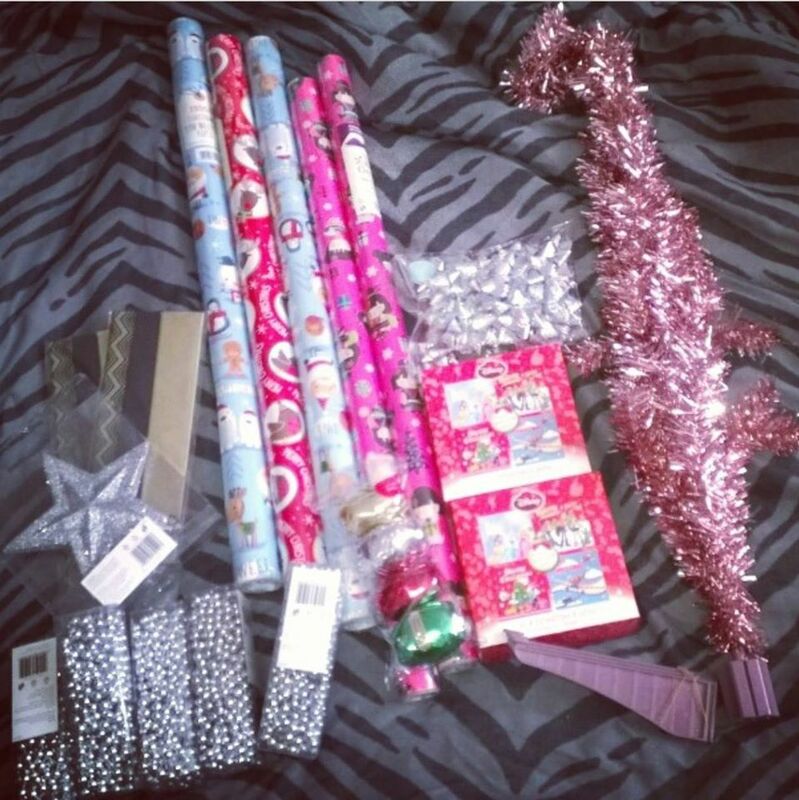 I get cards/bows/decorations & wrapping paper in the sale and they work out about 10p+ each. I got this bundle from the Tesco sale for £3.32 delivered. It's always good to have a look in the sales online as you can pick up some real bargains. 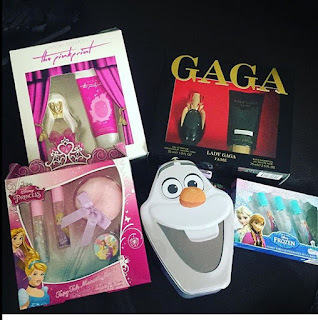 I always get gift cards for Christmas, boots is a favourite as I like to grab a few perfume sets in the sale, ready for the year. The frozen sets come in handy for gifs and birthdays. This lot cost me £26 with delivery, normally one of the perfume sets cost more than £26 & it keeps me stocked up. I never buy anything full price unless I have too and I always check on Topcashback to see if I can claim any cash back. This year Ive got £208.00 from just using the site, it's well worth signing up too. If you do get in a pickle or forget anything virus short term loans are the answer. Quickly approved and paid in to your account.